Discovered and raised by the late Swansie Shepherd near our hometown of Lansing, North Carolina. Swansie was a highly respected high school agricultural teacher here in Ashe County who raised hundreds of apples and acres of blueberries. The original tree was found by Swansie in southwest Virginia near the grave of a woman named Mary McKinney. 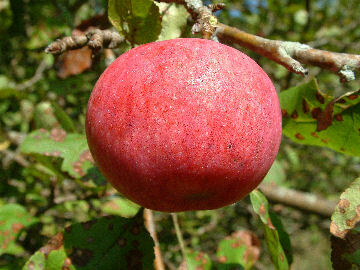 Fruit is of medium size, dull red in color and highly aromatic. Good for cooking and fresh eating. Ripens in late August and is not a good keeper.